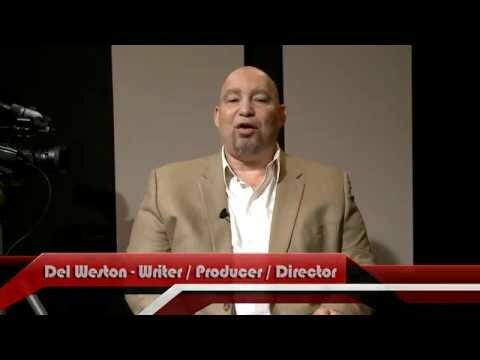 Independent Filmmaker and Director Del Weston reviews the Acoustical Room Kit from Acoustical Solutions. 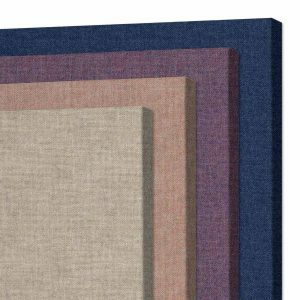 Acoustical Room Kits come with the perfect number of decorative sound absorbing acoustical wall panels for your small, medium, or large room in ten standard colors, ready to ship in 2-3 days. 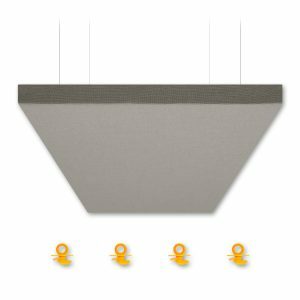 This easy to install product is ideal for improving sound intelligibility in mixing rooms and production studios. 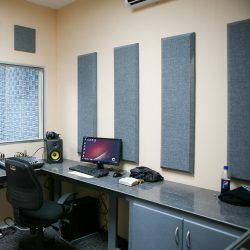 Why do I need to add acoustic treatment to my room? Acoustic panels will reduce room reverberation and flutter echo, which improves the sound quality and increases speech intelligibility. A room with enhanced acoustics provides a much more functional and productive space. There is a simple method you can use to determine if your room would benefit from treatment. Just stand in the room and clap your hands. You will quickly notice if sound is bouncing or fluttering throughout the space. Most rooms are constructed without acoustics in mind. They have parallel walls with lots of flat, hard surfaces. In an untreated room, conversations and sound will reverberate and rebound throughout the space, generating garbled, harsh sound. This makes discussions, conference calls, and mixing or listening to music difficult. 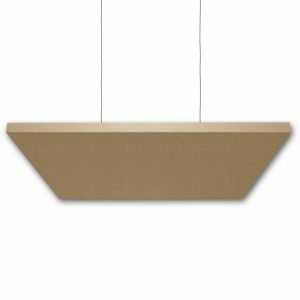 Installing acoustically absorptive panels will prevent the sound from reflecting and bouncing around the room. 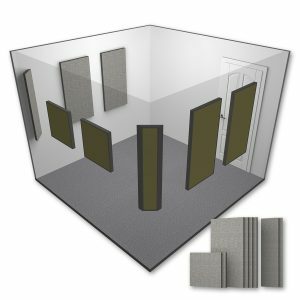 The acoustic panel and room kits are manufactured using a high density, 6-7 pound per cubic foot acoustical fiberglass board. The fibrous core material acts like a sponge to trap sound within the material. Friction between the fibers and the air cause the sound waves to lose their energy and do not reflect back into the room. The fiberglass core is stylishly finished with an acoustically transparent, 100% recycled fabric that is bonded to the core to provide a superior long lasting finished product. 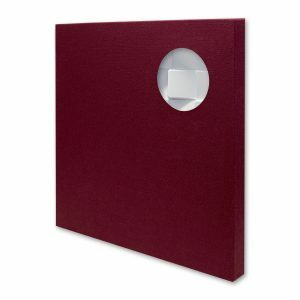 Once installed on the walls of the room, the panels will look as good as they sound. Ships in 2-3 business days! Our AlphaSorb® Acoustic Panel Room Kit uses the building blocks of AlphaSorb® QS Acoustic Panels to create room kits for a small (10′ x 10′), medium (10′ x 15′) or large (20′ x 20′) rooms. As a DIY (do it yourself) solution, the square footage of sound absorbing material in each panel kit is calculated to meet the needs of the room size specified to help lower sound intensity and improve speech intelligibility. 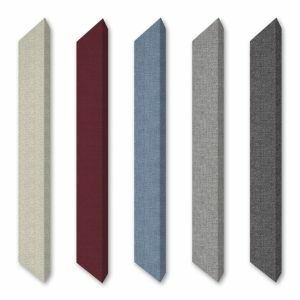 Each panel is wrapped with industry standard Guilford of Maine FR701 Style 2100 acoustically transparent fabric and ships complete with the basic mounting hardware to install direct to the wall. 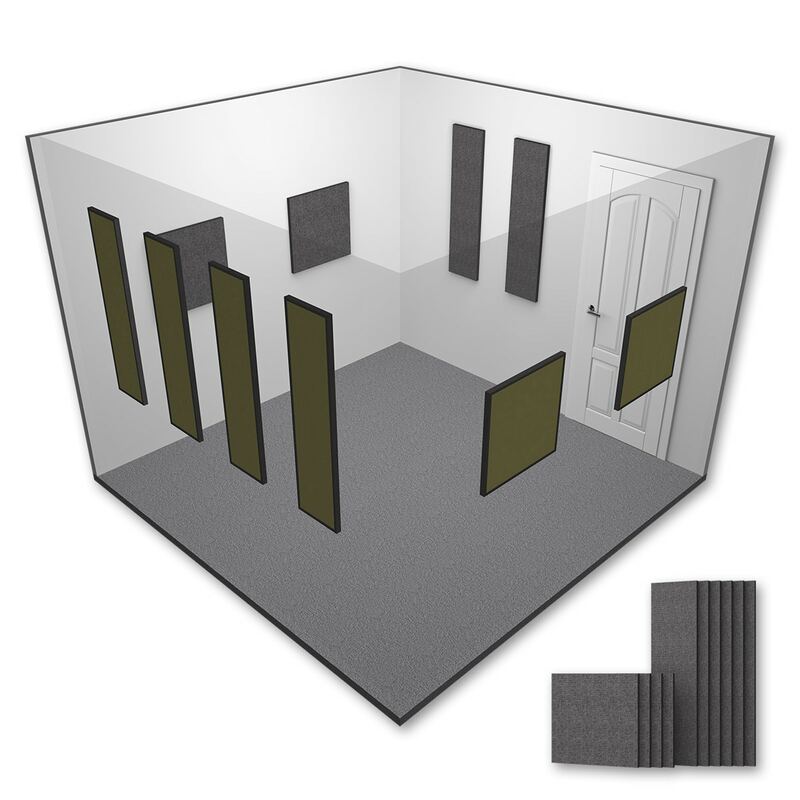 Expand or customize this kit with the AlphaSorb® QS Acoustic Panel, AlphaSorb® Pro Acoustic Panel Room Kit, AlphaSorb® QS Bass Traps, or AlphaSorb® QS Acoustic Ceiling Clouds. 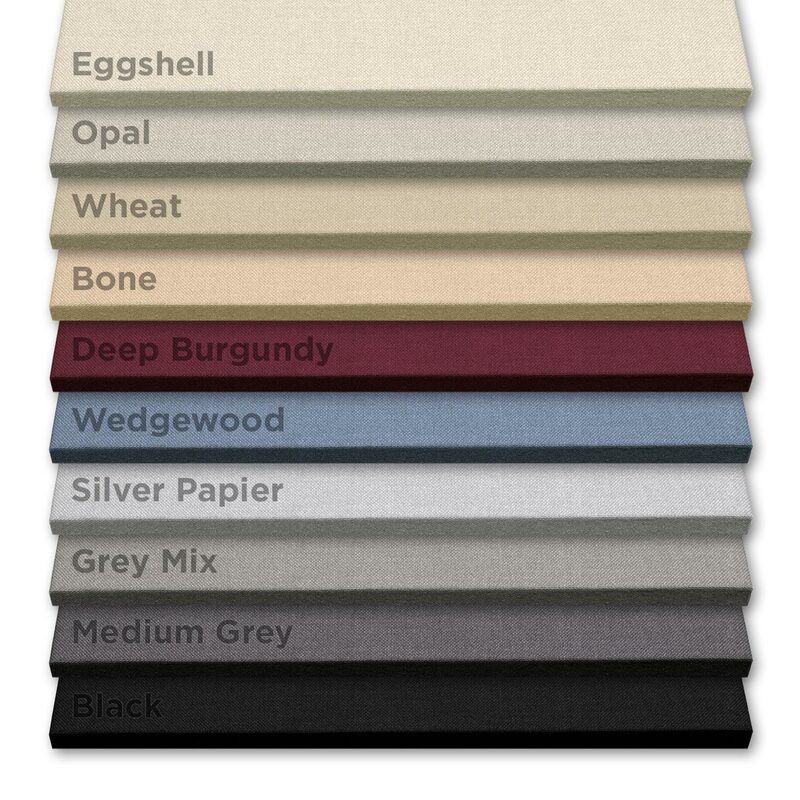 If you require larger panels for your project, please check out our AlphaSorb® Acoustic Panel. An AlphaSorb® Acoustic Panel Room Kit is a quick and easy solution for a variety of applications including offices, conference rooms, home entertainment, teleconferencing, videoconferencing, broadcast and recording studios, restaurants or anywhere that needs a quick and effortless acoustical solution. 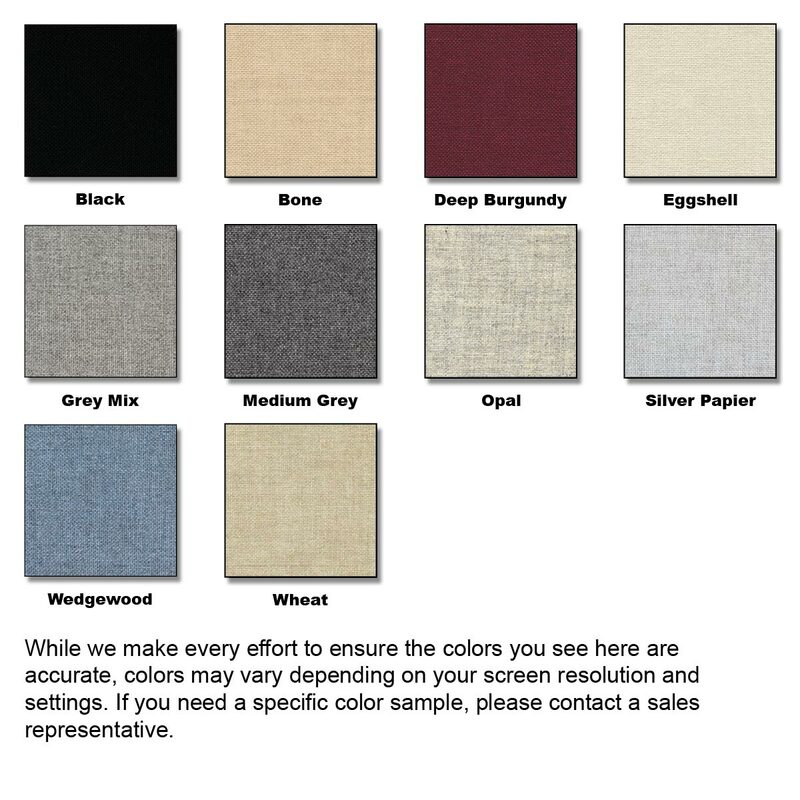 With decades of experience in the sound control industry, Acoustical Solutions reviewed many materials and manufacturing processes before finalizing the design of our Alphasorb® Fabric Wrapped Acoustical Panels. Before you make a purchase decision, be sure to understand the composition and process used to produce the panels. If comparing to other suppliers, we think you will purchase from us. Read more about the AlphaSorb® Acoustic Panel Advantage. We used the kits in our office phone rooms and they work great! We have a lot of glass in the phone rooms so the AlphaSorb panels make a huge difference. 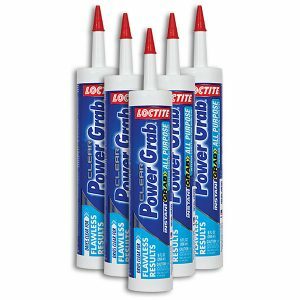 We were very happy with the effectiveness and ordered more because we realized we needed a few more for our room. 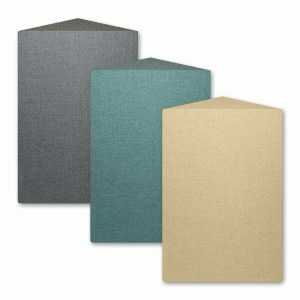 use in large high ceiling classroom space; works nicely! The room kit was appropriate for our room size and configuration. I could have used one more panel. It would be nice to have the option to add on if necessary. An acoustic solution for the door would be helpful as well. Voices carry right through it. this was used in a telemetry control room that has lots of beepers and alarms all the time. Product was easy to install and help mitigate the echo we had in the board room.